Peacemonger is the original designer of this popular image. 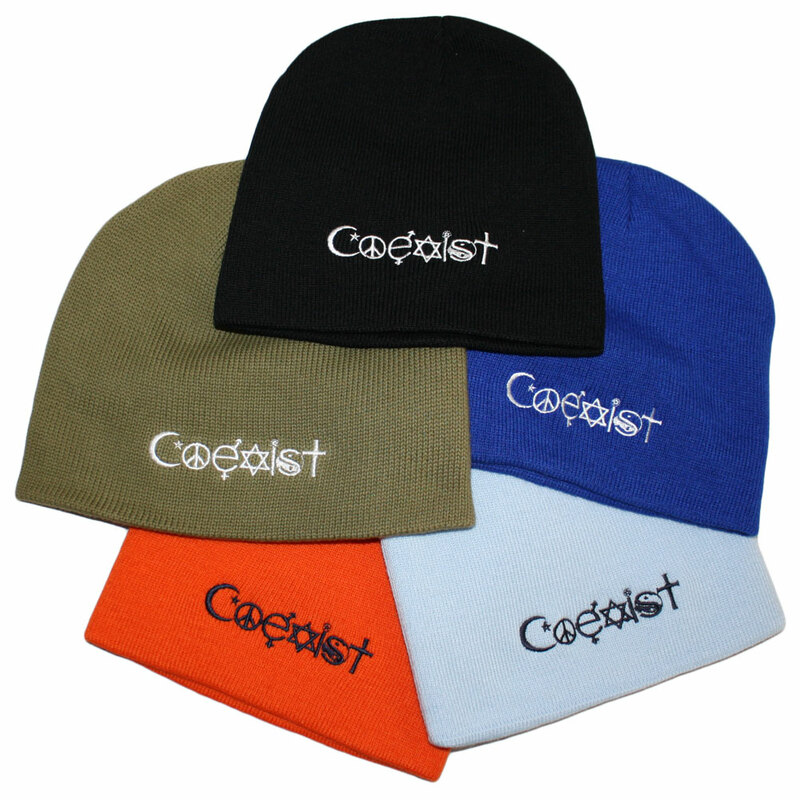 We have a number of variations of "Coexist" in collection of designs. We have a sincere hope that these religions, be they based in mythology, reality, or reason, may find a way to communicate, cooperate, and coexist in peace. 'Coexist,' our one-word poem has made a place for itself in our culture as a modern day 'Peace Symbol.' We appreciate having had the inspiration for the 'Coexist,' and our other popular Symbol-Glyph graphics and we enjoy producing them on items you will enjoy for a long time to come, in Peace.